Design to handle, protect and laminate all kinds of digital job prints. It also allows you to work up to B2 vertical (50 x 70) osets formats. Experience our touch screen user-friendly interface, quick fast film reel loading, secure high-speed performance system, automatic balance heat temperature and pressure or intuitive device adjustments. The outcome result with Digifav-B2 Pro will lead you to a quickly learning curve to its best performance. 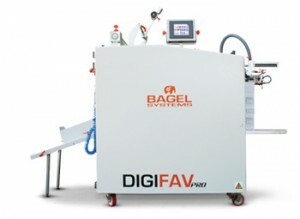 Digifav-B2 Pro is a solid steel build with top-level hardware, electronic components and calendar finishing treatments. It is design to support quick-change overs, prevent digital prints damage, up to medium runs jobs, one shift none stop, all kind of digital prints and films. Safety: CE compliant interlocks safety shields, emergency stops and security photocell sensor. NIP Roller System Self-balance pneumatic pistons and protection pressure roller program.